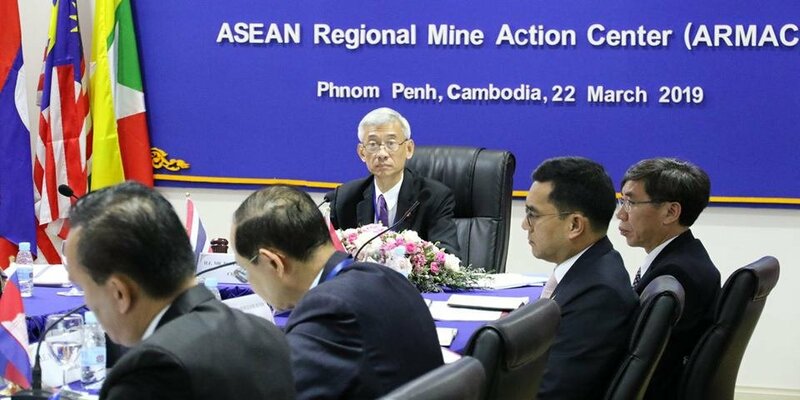 The 9th Meeting of the Steering Committee of the ASEAN Regional Mine Action Center (ARMAC) was held on 22 March 2019 at ARMAC’s headquarters in Phnom Penh, Cambodia. The meeting was chaired by H.E. 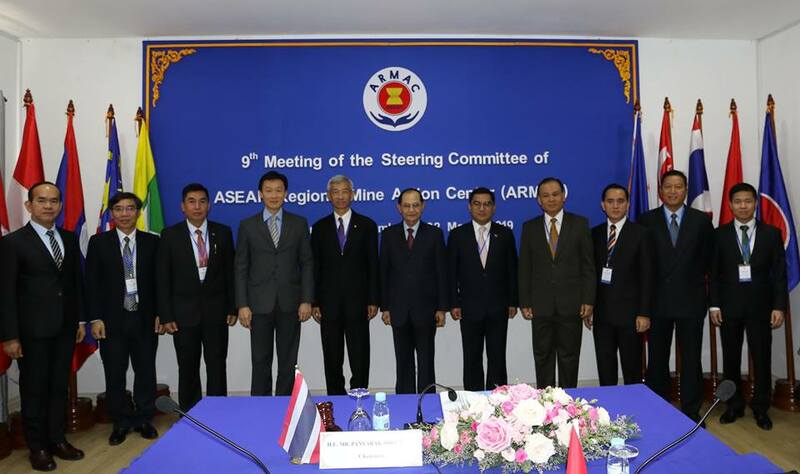 Mr. Panyarak Poolthup, Ambassador of the Kingdom of Thailand to the Kingdom of Cambodia and Chair of the Steering Committee of ARMAC. 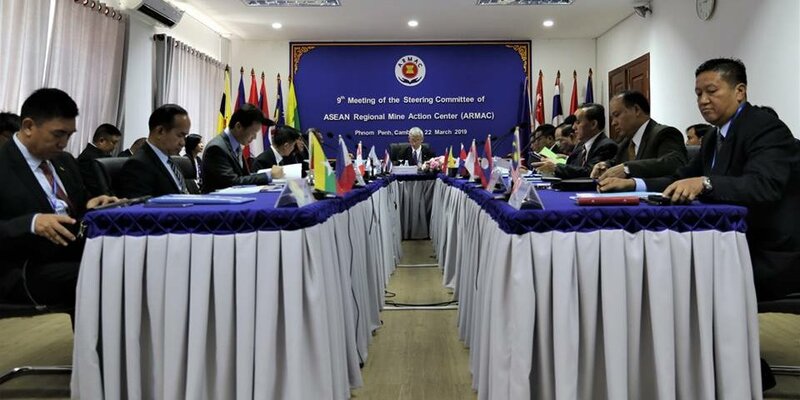 The meeting was also attended by members of the Steering Committee composed of delegates from all ten ASEAN Member States, and the Executive Director of ARMAC. The meeting was the first Steering Committee to be held in 2019 and discussed ARMAC’s priorities and upcoming programmes for this year as outlined in ARMAC’s recently developed three-year workplan. 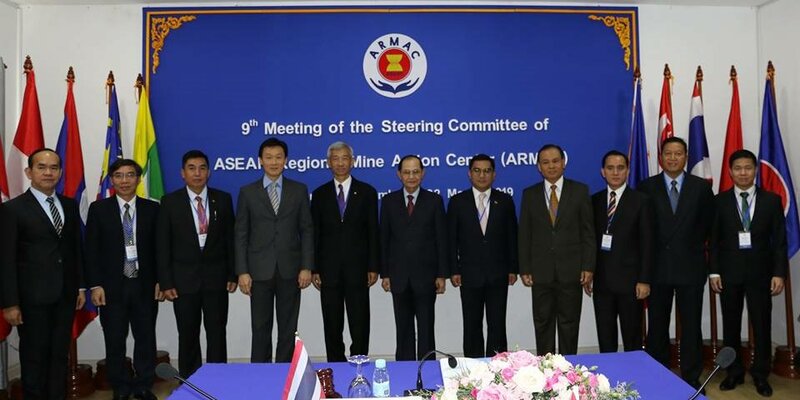 Also, highlighted was ARMAC’s progress in enhancing its systems and operations including its visibility and partner engagement through the publication of the Annual Report and participation in high level meetings. The meeting concluded with closings remarks by H.E. Mr. Panyarak Poolthup, who thanked the Members for their attendance and ARMAC for organising a successful meeting.